Should I Pay Attention or Be Concerned with Landscaping When Buying a Home? When most people buy a home, they look at the outside a little bit but most of the important stuff is inside, right? Not necessarily. As a buyer, sometimes the outside is just as important as the inside. I’m not talking about a few flowers in the front garden bed, but any large trees, root systems, or potentially hazardous issues with the yard or the lot. Here’s what I’m talking about. Examine the existing trees. If you are unaware of native trees, potential hazards, or treat disease in our area, it’s important to higher a tree service professional. They can identify if a tree is diseased, dangerous, or if it’s being used for something else. We literally found an entire beehive in the middle of a hollowed tree. Not only was the tree dangerous, but the bees were pretty dangerous too. If you have a brand-new home or a home that’s less than 10 years old, a lot of construction on the ground can make trees unsafe or very weak. They may not be planted very deep, so over the years, root systems can grow into pipes and under the foundation. A tree service professional can also tell you about the trees you should keep in those you should remove. They can take a look at the health of the tree, determine the age, how long the tree will last, and if it poses any hazards. The lawn is also something that you might want to take a look at. If you lot has plenty of uncompacted topsoil, you should have a pretty good chance that growing some great grass. If the lawn is older, you may need a professional lawn care service to get back into a manicured state. Neglected lawns can have bare patches, need to be thatched, and a good dusting of fresh seed. Landscape inspection may also be a good idea. 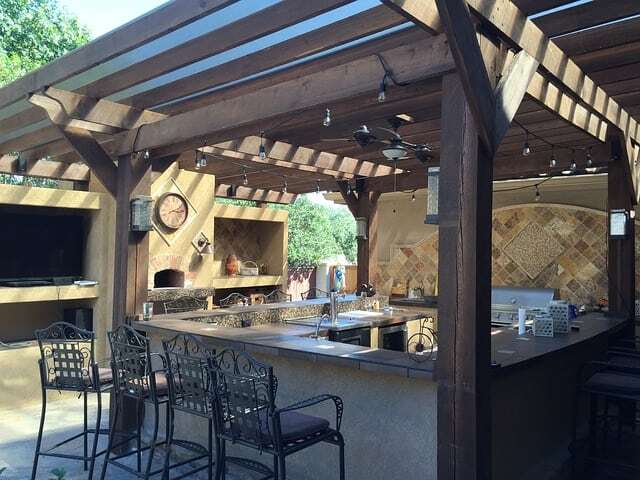 Normal homeowners inspections can cover a lot of additional issues such as draining, retaining walls, patios, exterior lighting, fencing, arrogation systems, and anything else that might be outside of the house. The point is, don’t look past the landscaping when choosing your home. You want to make sure that your home is not only exactly what you hoped for, but is a safe place for you and your family. Most people that want to live by the beach also want the look and feel of a beach-themed home. This extends out of the house in the way of curb appeal too. 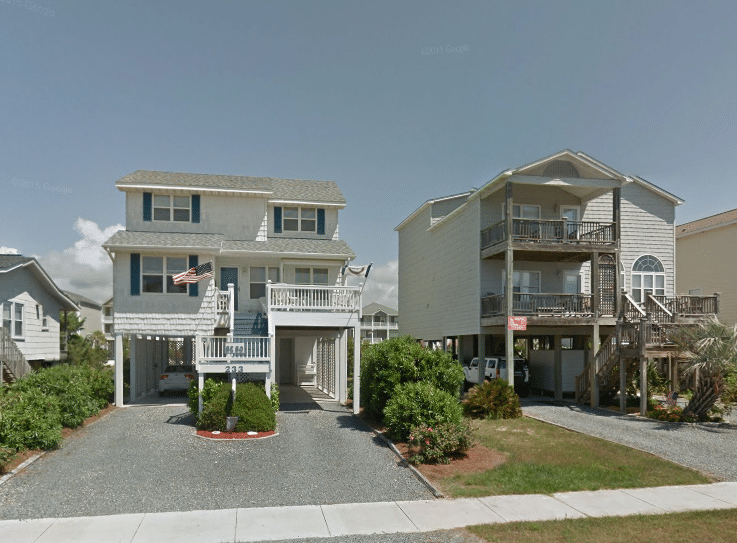 But what’s the best way to enhance the beachy curb appeal of your oceanfront home? First off, are you selling your home or making it your dream home? Because these two things can definitely call for different landscaping. If you’re selling, you’ll need to look at your home through the eyes of a buyer. Is the front of the house look? Is there peeling paint? Overgrown bushes or shrubs? Tired mulch or dead flowers? These are immediate needs that will need to be tended to before deciding on a theme or a style. If you have grass make sure it is mowed, trimmed, and edged. You want to create a cohesive feel using different types of plants to go with the landscaping. Try and stick to the landscaping of the area. If you have a beachfront home you’re probably not going to be creating an English garden or Japanese garden. If you’re selling your home people expect to the beach themed look with lots of rock, driftwood, rope accents and flowing grasses. Stick to a core set of similar plants so the landscaping doesn’t look as though it’s broken up. 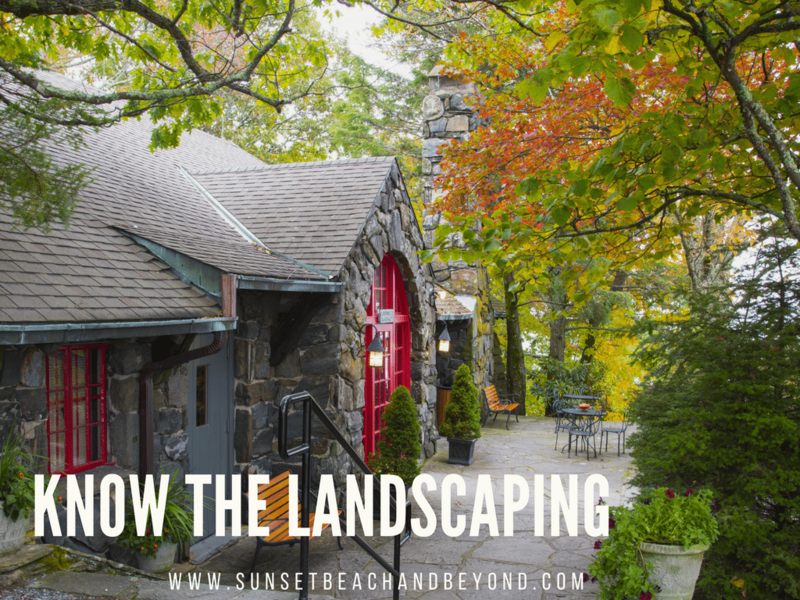 Another way to enhance your beachfront home is to develop a sense of flow making certain visual markers along sight lines that draw the eye from one end of the home or yard to the other. You might do this by creating a path that transitions in the same place the yard does at slightly different elevations or for shaded areas open up into the sunny areas. If you’re creating a space for yourself consider what you use the landscaping for. Do you prefer to entertain in the front or in the back? Are you looking for a space that you can relax, hangout, entertain or simply curl up with a good book? Create a setting not just a space. If you have a big front porch consider putting out a hammock for big, oversized chair. Set out a small table and if the area is covered consider putting a couple books on the table, perfect for curling up, watching the traffic or the people walk by and enjoying a good book. 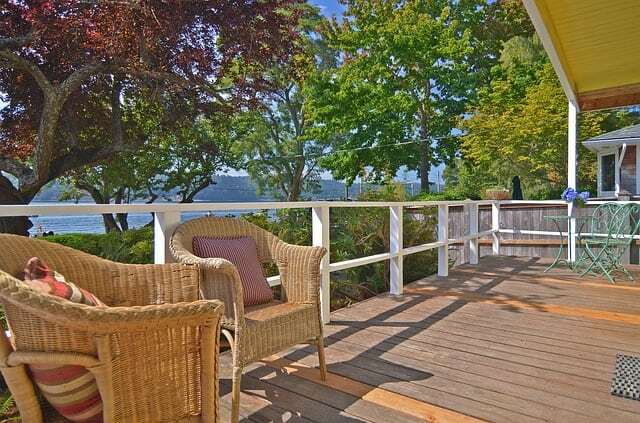 Consider adding a rope fence either from the driveway or road to the home or in the back from the home to the beach. Have flowing grasses and variegated styles stretching over the path but make sure they don’t block too much of the path. A boardwalk is a great addition if you can spend a little money. This can be expensive but will certainly add a beach theme to the front or back of your home. Beach themed homes are typically not cluttered or crowded so leave open space for the ocean air to sweep around the home and on the porch. There are certain flowers and roses that can grow up on lattices around door frames and windows that perfectly frame the door and love the ocean air. If you’re planning on selling, talk to us about staging your home for today’s buyers. 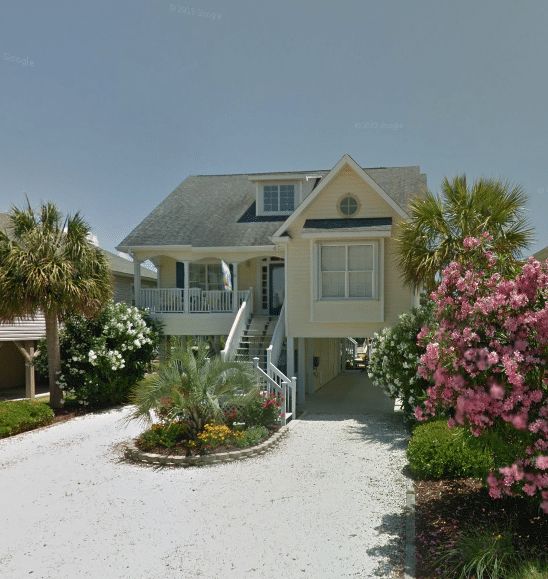 If you’re planning on creating a space for yourself, check out this great Pinterest page all about beach curb appeal.